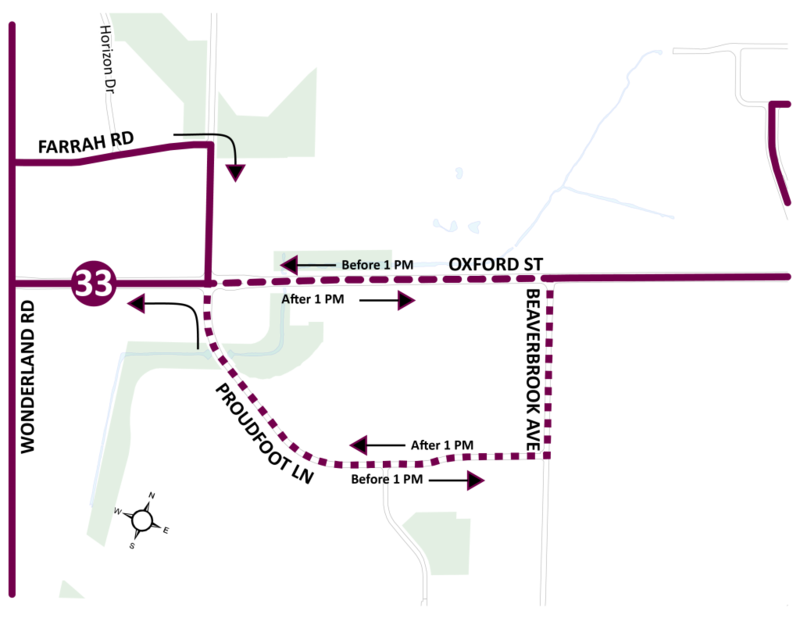 Route 33 is proposed to be modified to operate two-way service on Proudfoot all-day. Route 33 currently operates different routing in the AM and PM through the Proudfoot area. This adds unnecessary confusion to the route. By investing in the morning period, the route can operate two-way service all-day while maintaining convenient service frequency. Two-way service provides passengers in Proudfoot with the ability to travel directly to Western University or Oxford and Wonderland during all service periods.